Playing videos on a phone or tablet can be frustrating and difficult, but there are a few tools and apps around to ease the pain. Here’s how to make sure your videos always play smoothly and as intended on your mobile devices. Fortunately mobile playback is a lot more straightforward than it used to be, and for a lot of the time you won’t have any problems. Start watching Netflix or something downloaded from iTunes and you shouldn’t see any problems whatsoever. There are occasions, though, when you’ll need the help of third-party software for watching videos from the web. Issues start when you’re trying to get local videos saved on disk to work properly on an iPhone or Android device—mobile OSes can be picky about which formats they’ll play and which they won’t, due to their varying hardware and software configurations. As a result something that plays fine on your laptop might bring your smartphone to a halt. And that’s where HandBrake comes in. The venerable, open source video converter recently hit the 1.0 version milestone 13 years after development started, and so there’s no better time to introduce you to its various delights. The application, which runs on Windows, macOS and Linux, can get your video into basically any format you can dream of. It even comes with presets to help you get your movies and clips perfectly encoded for playing on mobile devices. Once you’ve installed and launched the program, it may seem a bit daunting at first, but it’s mostly a breeze to use. The Open Source button is how you load in the the video you want to convert, whether it’s something saved from the web or a folder of ripped DVD files (in which case HandBrake is smart enough to recognize individual chapters). The fields under Source show you which parts of your video are selected for conversion, if indeed it’s in parts, while the Destination part of the panel lets you control where the new video is saved and in what format. It’s the Presets panel where HandBrake really comes into its own (click Toggle Presets if you can’t see it). Options include Android devices (480p to 1080p) and Apple devices (240p to 1080p). Make your choice and the program applies all the necessary settings for you. Then click Start to launch the conversion process. The presets are a great place to start ,but there’s no reason why you can’t play around with some of the settings here as you become more confident with HandBrake and mobile video in general. You can tweak picture ratios, audio channels, even the format of the embedded subtitles. The app is also useful for reducing the size of your mobile videos if you’re low on space. We should also mention that not all video players are created equal. Some third-party tools are able to play formats that the default apps are going to struggle with. 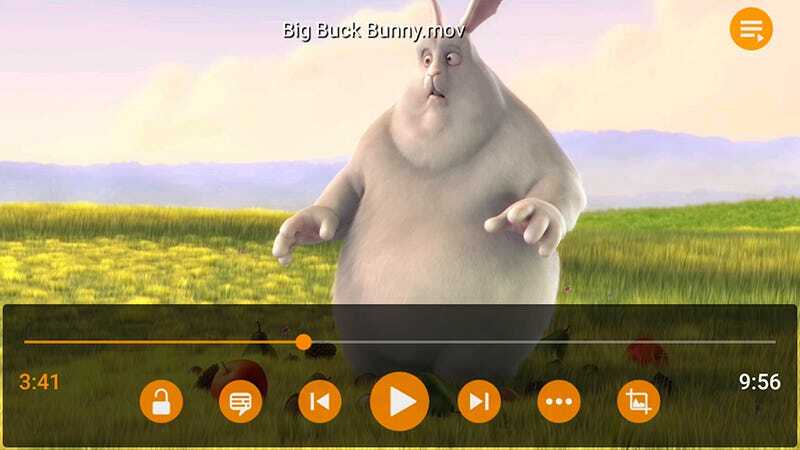 Check out PlayerXtreme for iOS, for example, which handles syncing as well as playback, or the always-excellent VLC Media Player for iOS and Android, which can handle just about any format you’d like to throw at it.